As reported here, digital artist Matthias Dörfelt has created an art vending machine in an attempt to increase awareness around blockchain possibilities, as well as how we handle our personal information. Face Trade, now on display at Art Center Nabi in Seoul, takes the form of a large vaguely face shaped box. 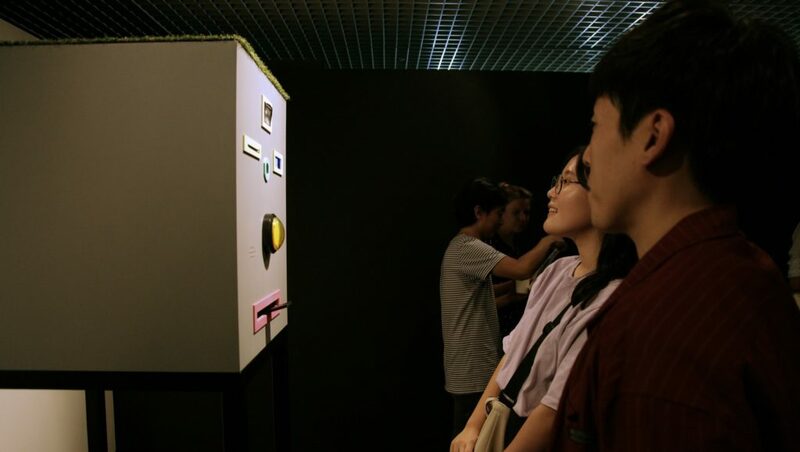 When it detects a human in front of it, the installation invites the participant to swap his or her face for art, confirmed using a large yellow button that connects to the system’s computer via an Arduino. Once confirmed, Face Trade snaps the person’s picture and uploads it to a blockchain in exchange for a computer generated facial image. The resulting art’s conflicted expression is meant to signify the good and bad possibilities that can come out of using this technology. For their trouble, participants also get a receipt showing their captured headshot that now appears along with each transaction on itradedmyface.com. Face Trade consists of a camera flash, webcam, receipt printer, inkjet printer, computer, speakers, LCD screen, button and an Arduino (to control the button, LCD screen and camera flash). The main application that ties everything together is written in Python. It uses OpenCV to do basic face tracking and take the images. All the Ethereum related things were done using web3.py which is the official python version of web3 to interact with the Ethereum blockchain. The receipt printer, inkjet and Arduino are controlled via Python, too. 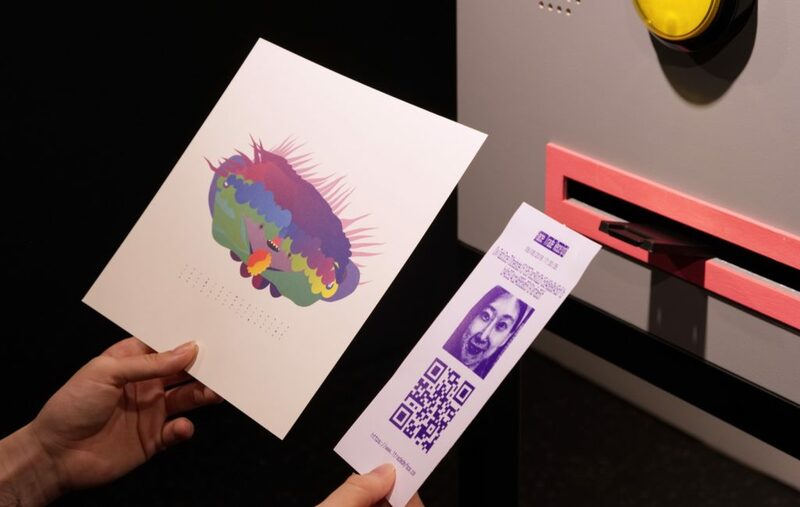 The process is comprised of taking a picture, uploading it to the blockchain, passing the resulting transaction hash to the face drawing generator that uses it to seed the random numbers (so that each face drawing is uniquely tied to the transaction that it belongs to), printing the resulting drawing and finally printing the receipt.